Mark Lawson has been buying, selling, and collecting beautiful and interesting things since he was eight years old. He launched his full time professional (pre)occupation in 1992 after award-winning work as a chef, and graduating from RPI with a degree in materials engineering. His subsequent published research as a graduate student won him the Hoechst-Celanese Award for Excellence in Engineering. After running a large traditional antique shop for several years and opening a gallery on Broadway in Saratoga Springs, Mark was approached by Sotheby’s in 2000 to assist organizing and curating single owner sales on Sothebys.com. This culminated with the landmark sale in 2003 of the Saratoga house contents of the estate of Mr. and Mrs. Walter Jeffords, a prominent thoroughbred horse racing family and antique collectors. Mark is a past member of the American Society of Appraisers and has completed courses in the NYU Appraisal Studies program in Period American Furniture at the Metropolitan Museum with David A. Gallager and Oriental Rugs with George Anavian at his shop in New York’s rug district. He is also certified in Diamond grading from the Gemological Institute of America. He has been the local sponsor on WMHT TV-17 of Antiques Roadshow since the 1997 premier season of the now iconic popular public television program. 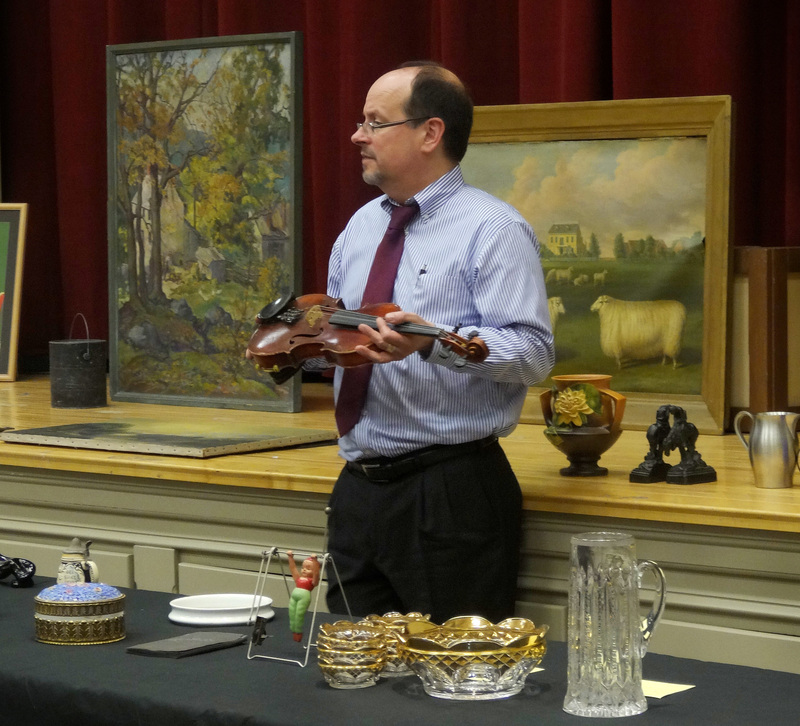 He was the on air auctioneer for the WMHT art auction and volunteers doing appraisal days and speaking events as a fundraiser for non-profit groups. Today Mark divides his time between his wife and three children in Saratoga Springs and traveling throughout the region meeting with clients helping them settling estates and disposing of their family treasures. Have an interesting antique to sell? You couldn't do anything better! Your office is friendly but professional. I appreciate that you are in Colonie and I will continue transactions with you. - Marilyn A., Schenectady, N.Y.